After more than two years, the Planning Commission is set to decide the fate of a proposed Whole Foods 365 grocery store at 1600 Jackson St. in the former Lombardi Sporting Goods space. The store's concept is a stripped-down version of traditional Whole Foods markets; Whole Foods 365 sells produce and staples at lower prices and has a larger number of grab-and-go items. The chain has opened eight locations so far, with 16 more in the works, reports the Long Beach Press-Telegram. Because the store is part of a chain, it's seeking a conditional use permit to take over the space. So far, the Department has received 139 letters of support from residents of the neighborhood and 30 letters in opposition from individuals and neighborhood organizations. The proposed project involves interior and exterior improvements to the two-story building, including its lower-level garage. There are no plans to expand the existing structure, according to Planning documents, and the new grocery store aims to use the below-grade parking garage, which contains 70 spaces. 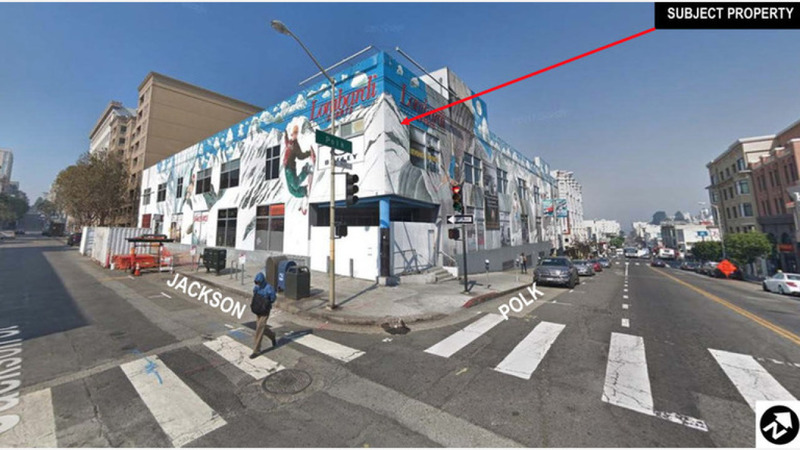 The grocer will also add an off-street loading dock that fronts Jackson Street and will add 21 bicycle spaces. A Whole Foods representative told Hoodline that the grocer was required "to evaluate traffic impacts and things like loading locations and times." The grocery store would occupy the entirety of the approximately 43,900-square-foot building with a grab-and-go/take-out area proposed for the first floor and dining and seating on the second, along with office space. The grocery giant's proposed arrival has been a contentious issue since the closing of Lombardi Sporting Goods, a family-run operation that operated for 66 years, 23 of those at the corner of Jackson and Polk Streets. 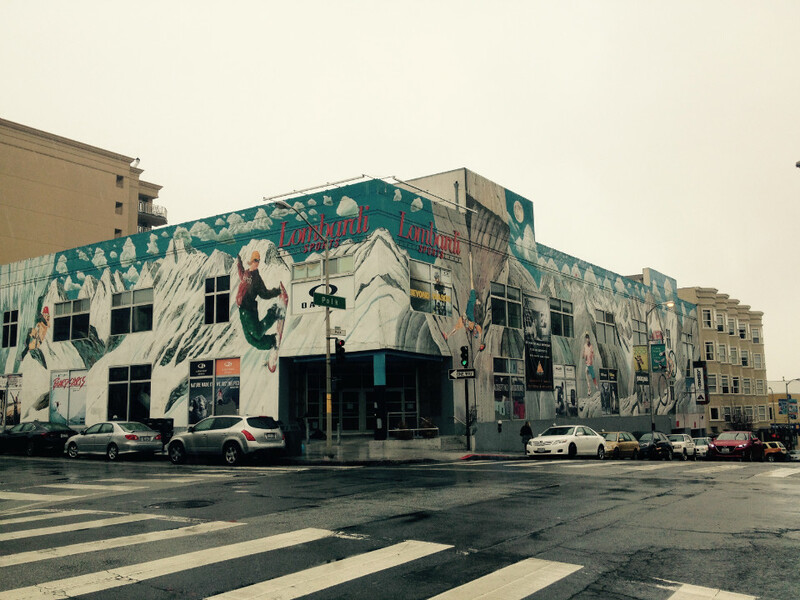 In February 2016, District 3 Supervisor Aaron Peskin proposed banning formula retail along the Polk corridor, which was ultimately disapproved by the Commission in a 4-3 vote later that summer. Even if the measure had passed, Whole Foods would have been grandfathered in, as the grocer had already begun leasing the space earlier that year. The Russian Hill Neighbors group surveyed members in 2016 and found that a majority felt there was a lack of grocery store options within close proximity to the neighborhood. However, within a six-block radius of the proposed site, there's a Trader Joe's, Golden Veggie, Real Foods, the Cheese Store, the Jug Shop and even a full-sized Whole Foods. Peskin has opposed the project since its inception. "If this was a neighborhood that was a food desert, it would be a different story," he said in a previous interview. 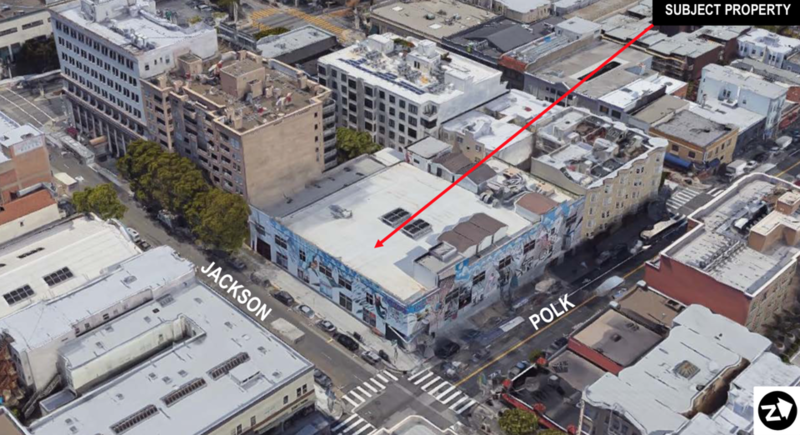 But with an influx of neighborhood support, Peskin is "going to see how things play out at the Planning Commission and what the community has to say about what they would like to see," said a spokesperson via email. While Russian Hill Neighbors hasn't formulated an official stance on the proposed grocery store, "there are a lot of neighbors promoting and supporting it," said member Robert Kozma via Facebook messenger. 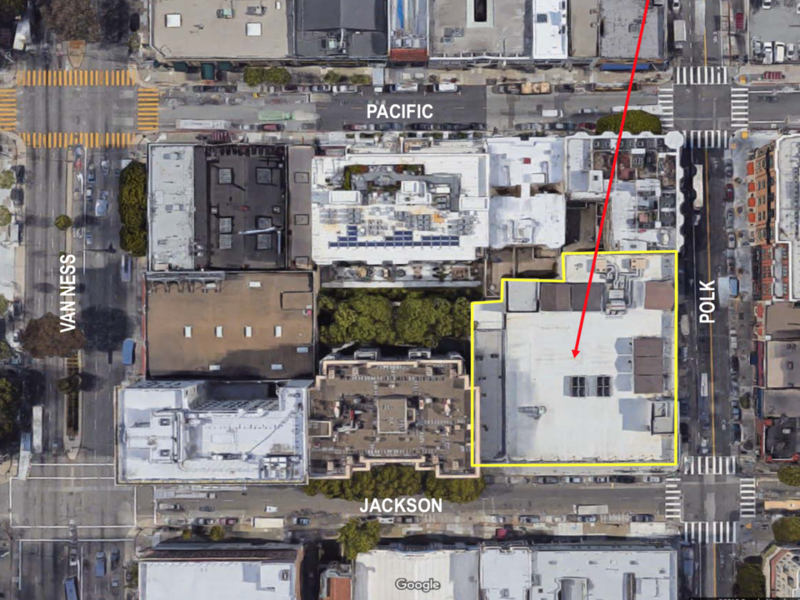 More than a dozen neighborhood organizations and other stakeholders, however, have expressed written opposition to the project, including Cathedral Hill Neighbors Association, Lower Polk Neighbors, Middle Polk Neighborhood Association, San Francisco Council of District Merchants Associations, and Van Ness Corridor Neighborhoods Council. Middle Polk Neighborhood Association (MPNA) board member Moe Jamil said in a letter sent to Planning that "housing, rather than formula/big-box retail at this site" is preferable. "The land must be put to the highest and best use," he wrote. "Housing with ground-floor retail is in the best interest of the neighborhood, the merchants and the city as a whole." Jamil also cited the number of independent retailers and grocers that already serve the neighborhood as reason to quash the project. Current MPNA chair Chris Gembinski said via telephone that the Whole Foods 365 project isn't in the best interest of the neighborhood long-term. He also noted that the Polk Street neighborhood has seen an uptick in evictions due to affordability issues, and added that housing should be a priority. Whole Foods, however, maintains that they have enough support from the neighborhood to move forward. "The Russian Hill community has been overwhelmingly supportive of this project from the beginning, and continues to express to us a desire for a grocery store," said Whole Foods spokesperson Erika Dimmler. "We are encouraged by their support, and look forward to serving the community with a Whole Foods Market 365."